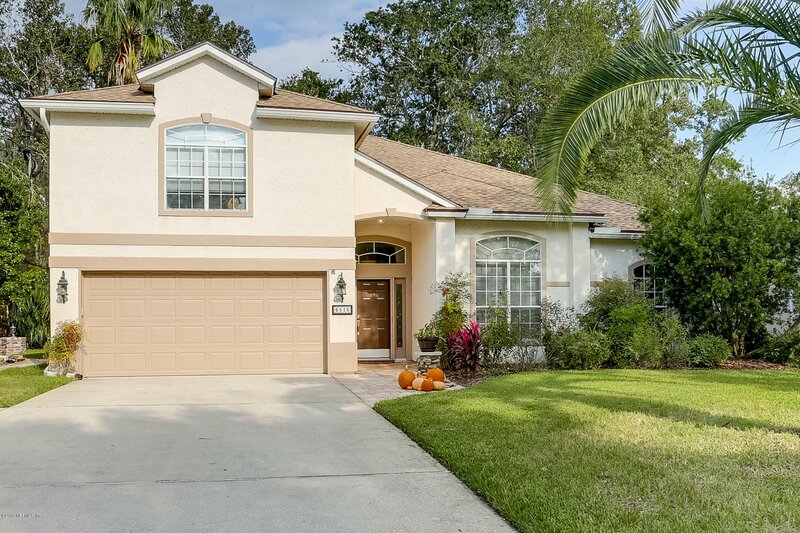 Nestled in a small enclave of homes within the sought after TPC Sawgrass you will find this well-maintained and updated home. The renovations offer an open floor plan with a spacious kitchen, tall ceilings and great living spaces. The screened in lanai affords you peaceful views of the water and golf course! Lushly landscaped homesite has a privacy buffer and outdoor space for firepit along with a grassy area for your enjoyment. This home has three bedrooms on the 1st floor, a flex room perfect for an office, home gym or nursery! The second floor provides a large bonus room with a full bath. Imagine it as a bedroom, theatre room, an alternative to the traditional basement, game room or exercise room. Roof less than 3yrs., new carpet/paint, walking distance to the community pool! Listing courtesy of BERKSHIRE HATHAWAY HOMESERVICES FLORIDA NETWORK REALTY. Selling Office: WATSON REALTY CORP.